Winemaker Blaine Brazil grew up in a small farming community in Northern California. After graduating high school he left the cool and foggy weather of coastal Humboldt County and headed south for sunny weather with a goal of earning a Bachelor’s Degree in Dairy Science. While attending Cal Poly, San Luis Obispo, Blaine stumbled into the Central Coast wine industry, fell in love with wine and ultimately changed his course of study so he could someday become a winemaker. He got his feet wet in the cellars of Tolosa Winery and Saucelito Canyon Vineyards. It was there where his love for small lot, handcrafted wines began. He learned to make Old Vine Zinfandel and Pinot Noir from premium vineyards in the Edna Valley. 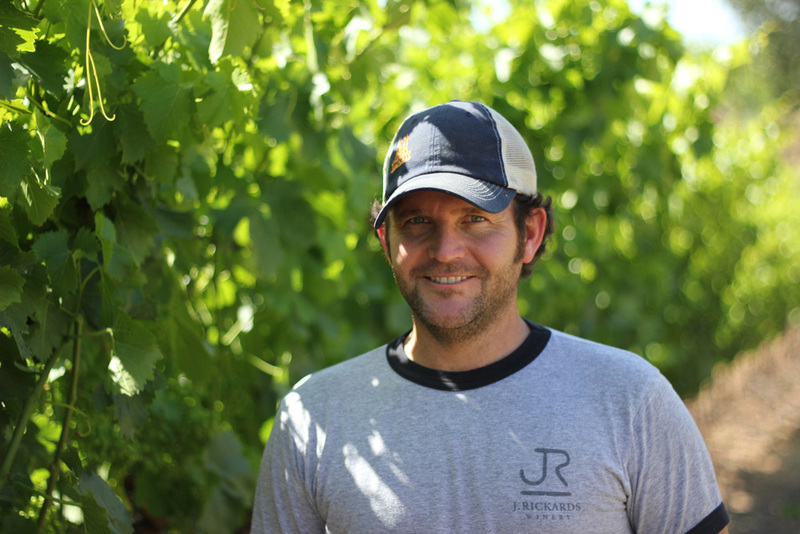 After graduating in 2003 with a Bachelors Degree in Fruit Science and a minor in Wine and Viticulture, he accepted the assistant winemaker position at B.R. Cohn Winery. Over the next seven years at B.R. Cohn, Blaine honed his winemaking skills, learning as much as possible about crafting world class wines. In July of 2011 Blaine joined us here at J. Rickards Winery. His goal is to produce quality small lot, single vineyard wines that express the terroir of the individual vineyards. He is a firm believer that great wines start in the vineyard and it’s the quality of the grapes that create wines with intensity, depth and balance. Juan has over ten years of cellar experience and assists Blaine and Jim with all aspects of winemaking and production. Juan and his family are longtime Cloverdale residents and are very involved in the local community. When he is not in cellar, Juan enjoys playing soccer and baseball. He also helps out filling jugs and pulling barrel samples at our events.